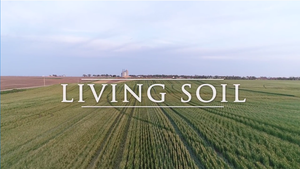 The Soil Health Institute has just released Living Soil, a 60-minute documentary about soil health that showcases innovative farmers and soil health experts from throughout the United States. RESEARCH TRIANGLE PARK, N.C., Nov. 15 /CSRwire/ - The Soil Health Institute (SHI) today released a 60-minute documentary that captures the history – and significance – of the soil health movement. The documentary is available online. To download the documentary, visit https://livingsoilfilm.com. For information on SHI, to become involved in the soil health movement, and to subscribe to SHI communications, visit www.soilhealthinstitute.org. The Soil Health Institute (www.soilhealthinstitute.org) is a non-profit whose mission is to safeguard and enhance the vitality and productivity of soil through scientific research and advancement. The Institute works with its many stakeholders to identify gaps in research and adoption; develop strategies, networks and funding to address those gaps; and ensure beneficial impact of those investments to agriculture, the environment and society. Tiny Attic Productions (https://www.tinyatticproductions.com) is a multimedia company based in Columbia, Missouri. The firm specializes in filming, editing, animation, sound design, branding, and capturing stories about real people in real moments.